Train travellers will once again face delays and cancellations because of engineering work on some of the country's biggest lines over Christmas. Network Rail says the upgrades are part of a record-breaking £200m investment programme that begins after the last train runs on Christmas Eve. More than 11,000 engineers will be working across the holidays. New platforms, flyovers, junctions and station facilities will make the network more reliable for the new year. 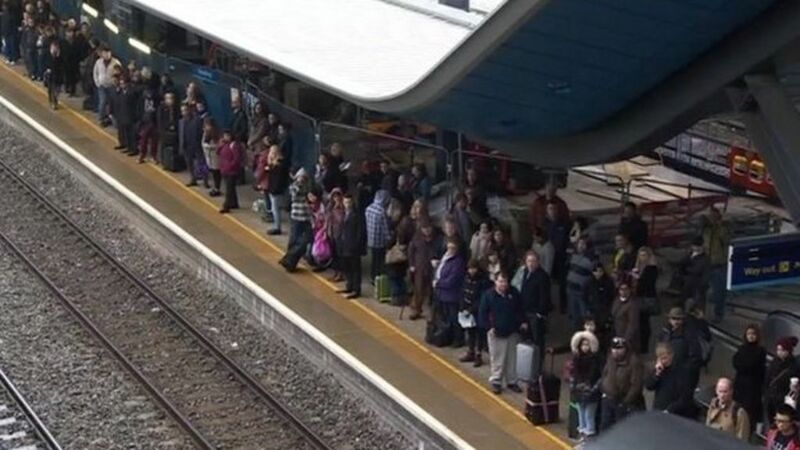 Train travellers will once again face delays and cancellations because of engineering work on some of the country's biggest lines over Christmas.